For the birthday boy or girl who is indeed fantastic, this 4th birthday sticker badge card is ideal. 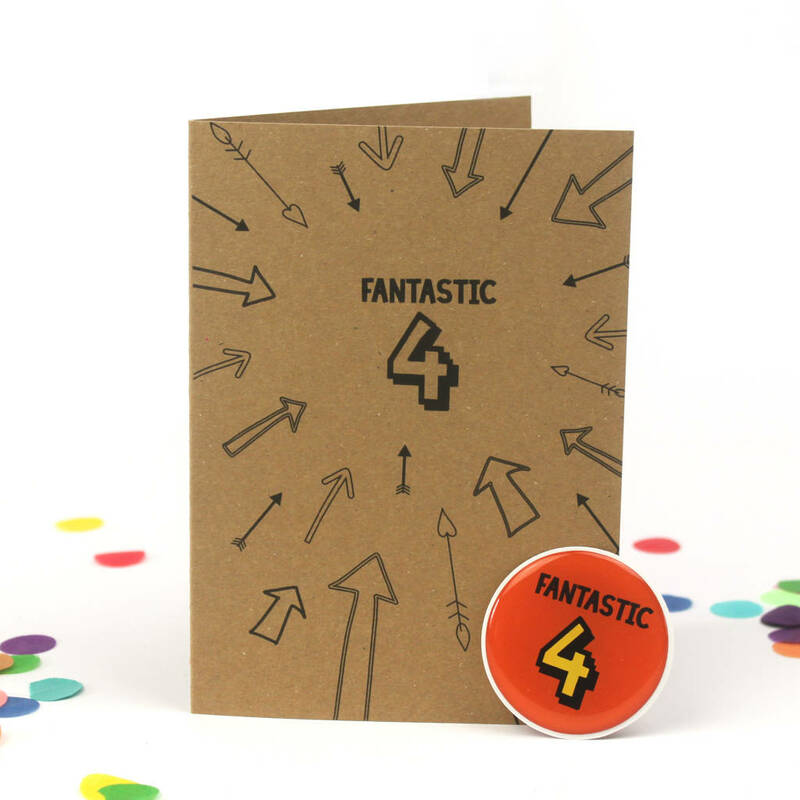 The card comes with a removable, super strong sticker badge. The badge is domed to give it a 3D effect and will look fantastic in theirfourth birthday party pictures. It's then sealed in a cellophane sleeve and sent out to you in a board backed envelope to prevent damage in transit. 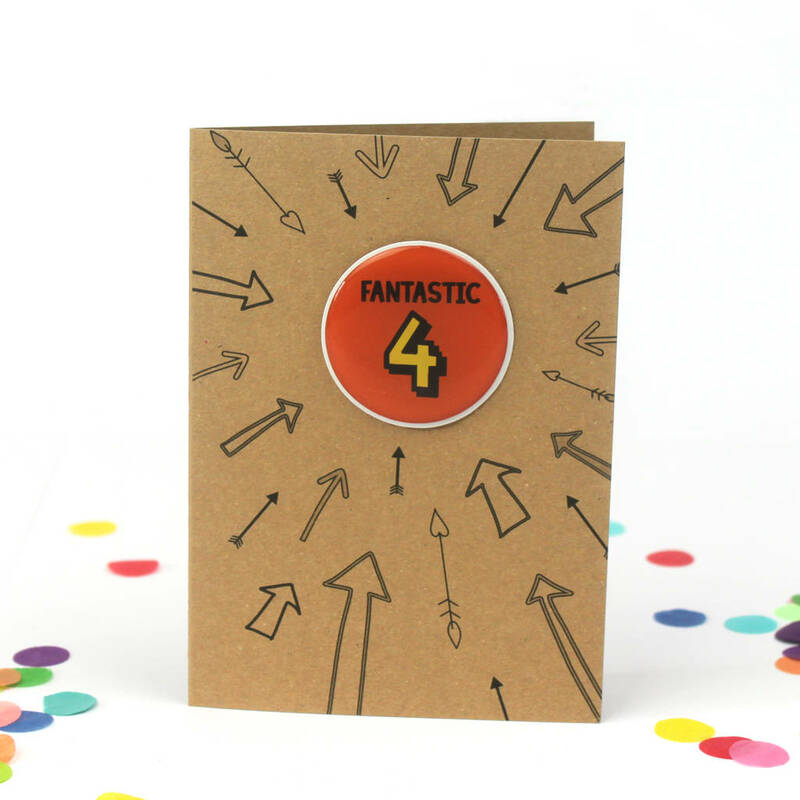 Printed on heavy 350gsm Kraft card with a resin domed sticker badge for the birthday girl or boy.